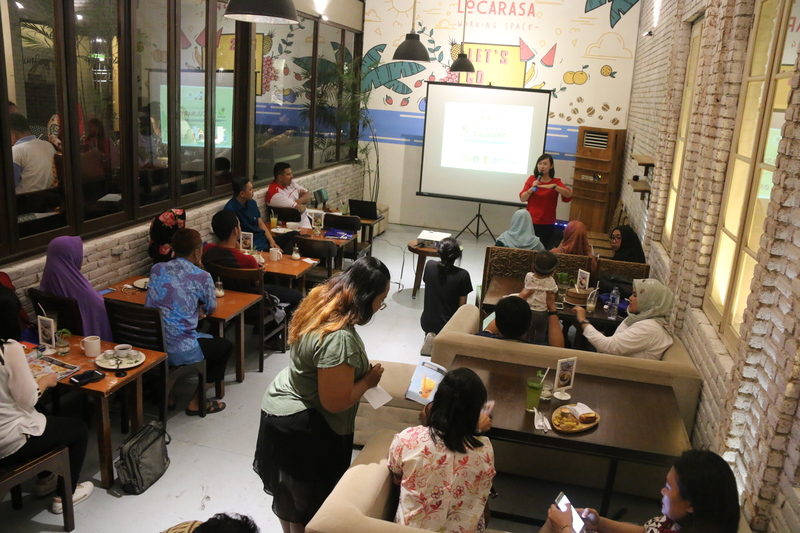 As one of the event series of alumni forum, Kafegama MM Yogyakarta invited students and alumni who were doing culinary business and those who were interested in the business to meet on May 4, 2018. 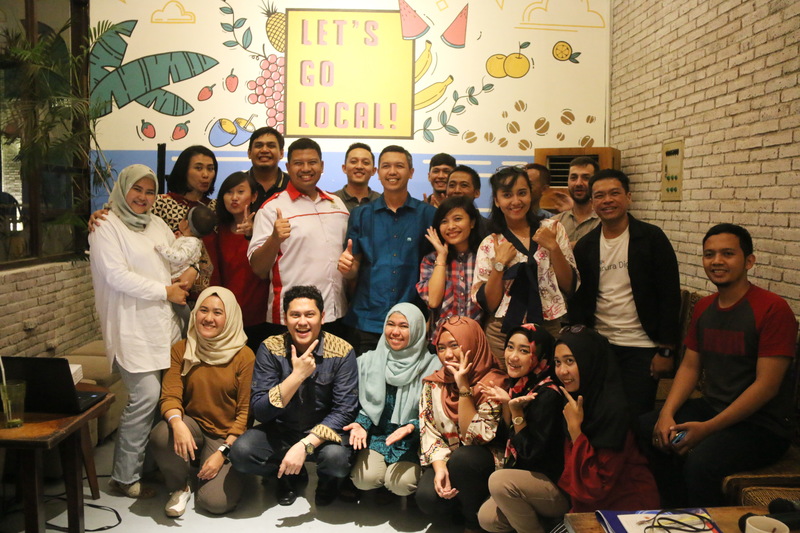 Taking place in Dixie Jogja, the culinary meet up was held successfully by presenting alumni whose culinary business ran in great success. For example, Arief Budiman an alumnae of Batch 55 Yogyakarta who owned @kulineryogya. It was an official social media account on instagram which shared culinary info in Yogyakarta and its surrounding. Brian Kustantoro Edityanto an alumnae of Batch 55 Yogyakarta owned Koki Joni Pasta & Turkey. It was an appealing restaurant located at Gg. Abiyoso No.V, Terban, Yogyakarta. Dwi Kartika Sari an alumnae of Batch 57 Yogyakarta owned Goeboex Coffee located at Jalan Perumnas No.158, Caturtunggal, Kec. Depok, Sleman, Yogyakarta. Yustia Ekarina Mayang Sari an alumnae of Batch 68 Yogyakarta owned @juprekjogja. Located at Jalan Kranggan No.16A, Cokrodiningratan, Jetis, Yogyakarta, the name of juprek was an abbreviation of jus (juice) and ayam geprek (minced chicken). Arief Rachmandi an alumnae of Batch 62 developed Burgerax which was very popular recently. Randhika Prawira Putra a student of Batch 72 Yogyakarta owned Capcuzz which was a modern brand of beverage located at Jalan Pandanaran, Sardonoharjo, Sleman, Yogyakarta. KAFEGAMA MM Yogyakarta also invited some investors to come and share their experience in investing in culinary business and introducing/promoting the alumni culinary business which might attract investors to invest their capital. For instance, Henry Utama an alumnae of Batch 55 Yogyakarta shared his experience investing in Pizza Hut. The event was started at 6.30 PM with an opening remarks from Bagus Panuntun as the Chairman of KAFEGAMA MM Yogyakarta which was continued by another speech from Bayu Sutikno, Cand.Merc., Ph.D as the Deputy Director of MM FEB UGM and an introduction to culinary businesses managed by alumni and students of MM FEB UGM. Both the alumni and the students running culinary business shared each other knowledge from the beginning of the business as well as the challenge and obstacle appeared.